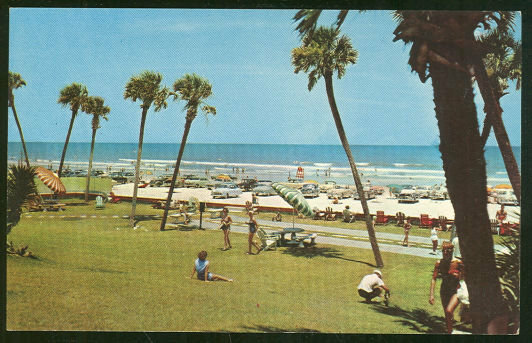 Postcard of Expanse of Beach and Palms, Daytona Beach, Florida. Back is unused. Postcard is in very good condition, slight wear at edges, slight soiling on back at edges.